Based in Chicago, Illinois, Goose Island has always made a decent beer. Some are better than others, but we wouldn't call it one of our favorite breweries. Sure, Matilda, Bourbon County Stout & Pere Jacques were great but their year round brews are just a bit weak. When we got word that they had just released a "heavily-hopped imperial stout," our jinies tingled. A 11.7% ABV hoppy imperial stout was something we could not pass up. 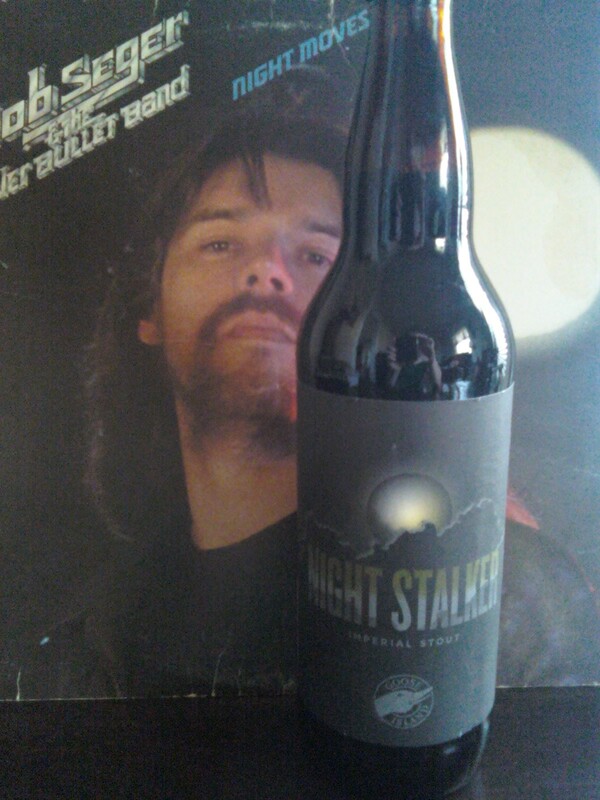 Night Stalker pours black with a carmel head and has a strong citrus smell. This is by far the strangest tasting imperial stout we have ever tried. It has medium body with an alcohol burn as it leaves the mouth. When it hits the pallet- citrus, fruit, toffee and chocolate dance on the tongue. This beer has us just about stumped. At first we didn't even want to finish our glasses but the following sips got better so we let the beer warm up to get a better effect. There is a fruity sweetness to Night Stalker that some would welcome with open arms but we would call a nuisance. The beer lets its alcohol presence be known unlike a good stalker. You have to give credit to Goose Island for creating an imperial stout that taste NOTHING like what is typically associated with that style. This brew is a true sipper meant best to be shared with a friend or two but you have to have the right palette for this one. Mike and Oz can both agree on its originality, the flavors just don't come together well and the alcohol ruins what was a good concept. We are going to file a restraining order.